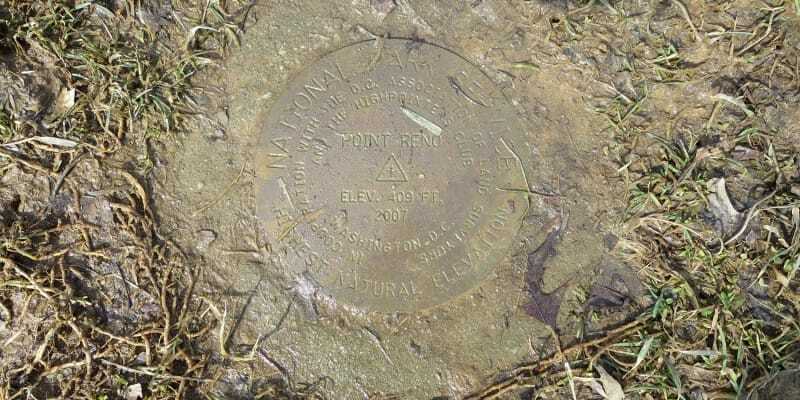 Point Reno: The highpoint of Washington, D.C. When you’re talking about state highpointing in the U.S., you’re talking about extreme diversity. 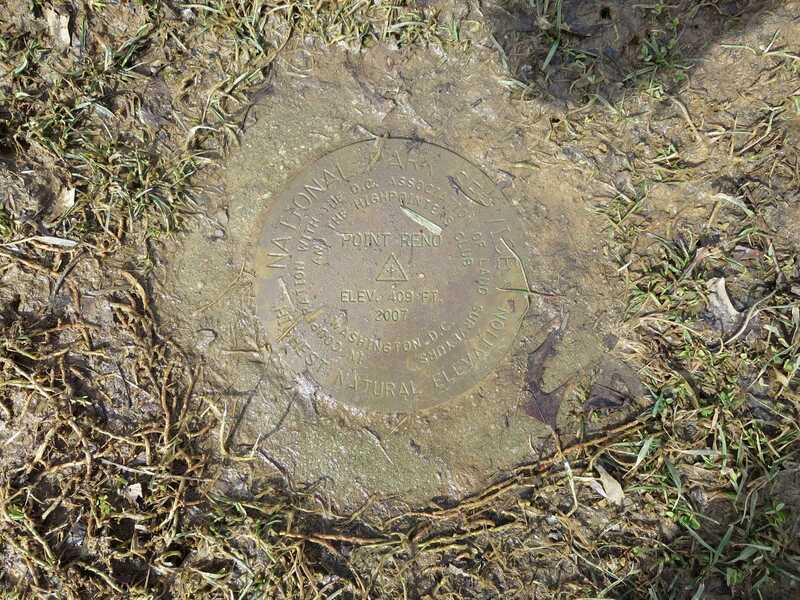 Reaching the highest point in each U.S. state brings a multitude of challenges, from the obvious challenges of climbing a huge glaciated peak like Mount Rainier, to the not-so-obvious challenges associated with finding a tiny highpoint marker hidden by a layer of mud on a nondescript hill in a random part of town. Washington, D.C.’s highpoint, Point Reno, fits into the latter category. The challenge is finding the exact spot rather than battling the elements. And, to top it off, Washington, D.C. isn’t even a state! It’s highpointing madness, I tell you! 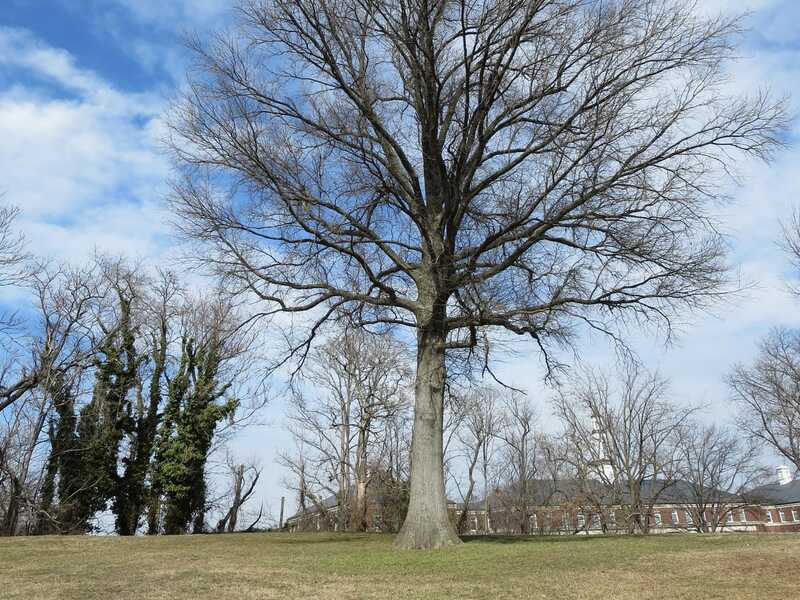 Nevertheless, I took on the immense challenge of reaching D.C.’s highest natural point last weekend and was ultimately rewarded with … being able to check off highpoint number 15. Well, there was a view of a grocery store, too, I suppose. The highest natural point in D.C.
As I drove to Fort Reno in Washington, D.C. on a sunny Saturday afternoon, I was convinced that perhaps the most difficult part of reaching the highest natural point in our nation’s capital would end up being the traffic circle at Connecticut Ave. For those not accustomed to navigating D.C.’s traffic circles, this can indeed be a challenge. Despite this fact, the notorious traffic circles did not end up being the most challenging part of reaching this destination. 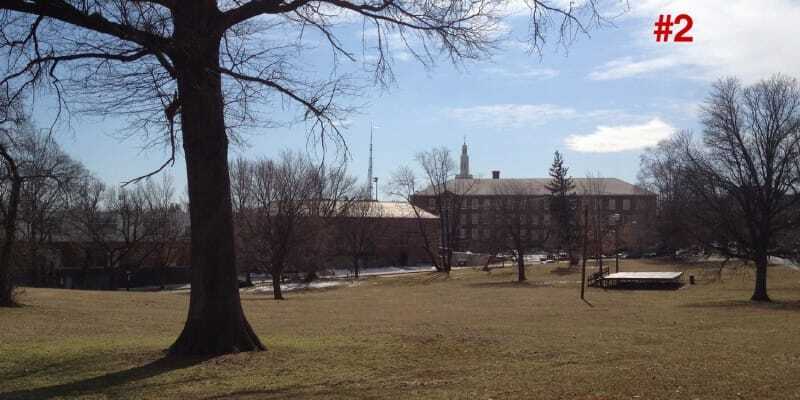 Note: Be sure to check out the “Getting to Fort Reno” section below as well as the photo gallery at the bottom of the post for help finding the exact location. Not only is the Washington Monument (555 ft.) higher than the D.C. highpoint, but the actual highpoint of Fort Reno is in the Reno Reservoir section that is also a “no trespassing” region fenced off with barbed wire and therefore inaccessible. But that highest point (in the fenced off reservoir area) is artificial anyway, so it doesn’t really count. Confused? Wait, there is more. 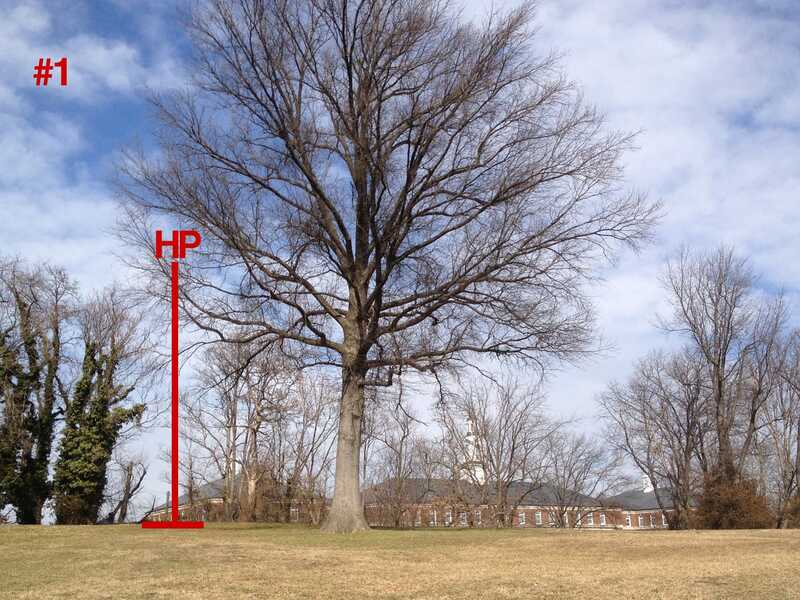 The D.C. Association of Land Surveyors formally surveyed the area in 2007 and declared a new highpoint in a slightly different location than what was previously thought. Finding the highpoint in D.C.
After parking parallel to the school on Fort Dr NW, head south down a paved pathway and then take a hard left up a hill after a small area of tree cover that is on your left. Once on the hill, head toward the large oak tree that seems to be at the top of the hill (see picture #1). Head northwest from this hill maybe 15 yards to find the small benchmark in the ground. This was nearly impossible to find when I was here, as it was completely covered by mud. You’ll know you’re in the right area if you look downhill to a small outdoor stage and the back of a grocery store (see picture #2). Final note(1): After wandering around for quite some time, I ended up bushwhacking through that aforementioned section of trees. So, I was able to find a real outdoors adventure after all! I have decided to term this endeavor “the most unnecessary bushwhack of all-time,” a name that is definitely deserved. Final note(2): I was also happy to have my wife with me on this adventure, as I otherwise would’ve been a guy wandering around by himself looking at his phone and snapping random photos as people sunbathed on the hills (it was an unusually warm March afternoon). Ah, the perils of being a highpointer. At the roundabout, head southwest on Nebraska Ave.
Elevation change (estimate): 50 ft.
Raina: It’s always nice to connect with a fellow highpointer! 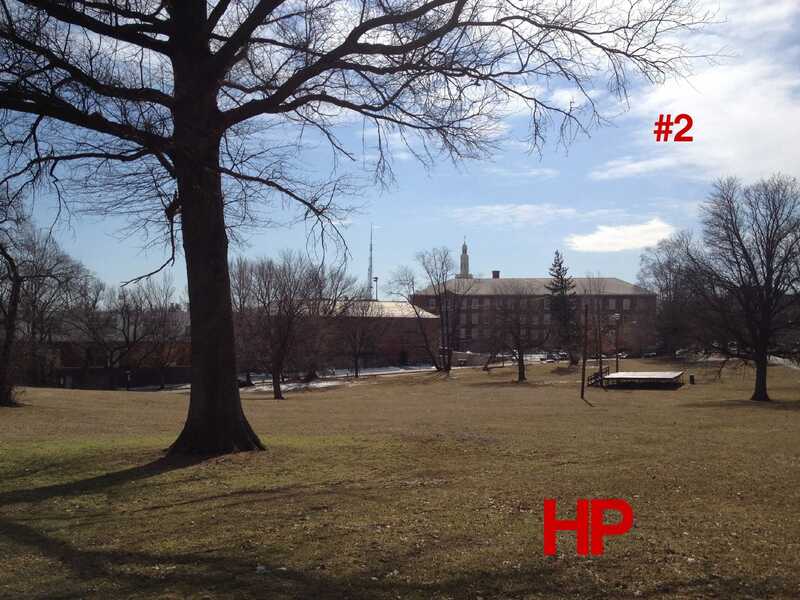 This DC highpoint certainly brought it’s own challenges, albeit much different challenges than some of the other HPs. Good luck on your quest to get them all done!